Pearl millet (Pennisetum glaucum) is the most widely grown type of millet. 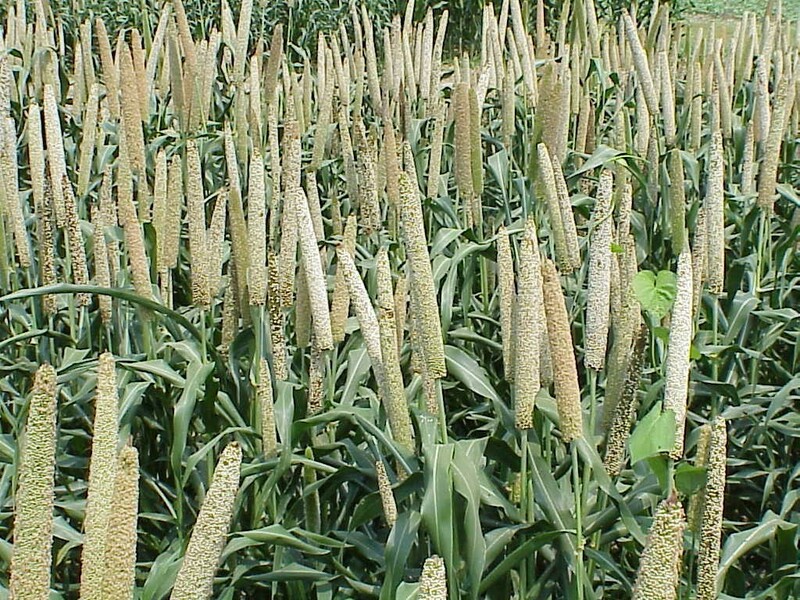 Pearl millet is well adapted to growing areas characterized by drought, low soil fertility, and high temperature. It performs well in soils with high salinity or low pH. Because of its tolerance to difficult growing conditions, it can be grown in areas where other cereal crops, such as maize or wheat, would not survive. Pearl Millet is a good diabetes inducer. It controls the level of glucose. Pearl millet is also used to manage high cholesterol & give relief to people. Stomach functionalities become normal due to the intake of pearl millet regularly. Pearl millet has bodybuilding nutrients that provide proper nourishment to make people healthier and to get the energy to work faster.